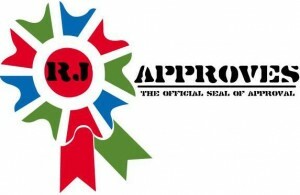 RED HAT RELEASES RED HAT ENTERPRISE VIRTUALIZATION 3.1 | RJ Approves This Message! So twitter told me that redhat released its enterprise virtualization 3.1 today that is based on the Kernel-based virtual machine or KVM in short. It has some stunning capabilities and features. From what I read – this is the follow up from the 3.0 version that was out in January 2012. There are lot of new features added all across the board from supported storage, processors to networking. Some interesting features are creation of snapshots is now supported, port mirroring is now possible, hot plugging and unplugging of disks is supported, direct disk block access is also now possible. Red Hat also took a page from vmware here and is now providing initial support for storage live migration. For the cpu, Red Hat virtualization 3.1 now supprots Intel Core i3, i5, and i7 CPUs — code named “Sandy Bridge”, and AMD 15h, or Opteron G4, CPUs — code named “Bulldozer”. Below is a nice concise from virtualization.info site. You can also download the release here.